The Girl in the Spider's Web review: "High on adrenaline, low on subtlety"
This latest Millennium movie smooths out the series’ earlier quirks. But there’s action galore and Foy makes a poised, dangerous heroine. It’s seven years since Lisbeth Salander last hurtled vengefully across our screens, but everyone’s favourite Stockholm-based superhacker, avenger of the abused, and kicker of hornets’ nests is finally back. 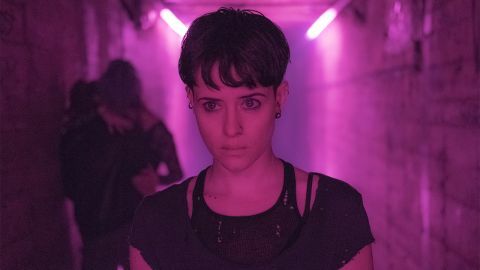 This time, though, instead of Noomi Rapace (in the three 2009 Swedish films drawn from Stieg Larsson’s novels known as the Millennium Trilogy) or Rooney Mara (in David Fincher’s 2011 US remake of The Girl With the Dragon Tattoo), she’s incarnated by Claire Foy, as far as can be from playing Queen Liz 2 in The Crown. Spider’s Web is the first film in the series that’s not derived from a novel by Larsson. He died soon after completing the multimillion-selling trilogy, so fellow Swede David Lagercrantz was drafted in to pen a sequel – and took a fair stab at it. Lagercrantz’s masterstroke was to pick up on a brief mention of Lisbeth’s twin sister Camilla (in Larsson’s second book) and wheel her on as Lisbeth’s nemesis. And now the film version, from Uruguyan director Fede Alvarez (Evil Dead, Don’t Breathe), brings that sister, Lisbeth’s in-every-way non-identical twin, even more to the forefront of the action. A chilling childhood prologue – reminiscent of the creepier scenes in TV’s Patrick Melrose – explains the lifelong enmity between the pair. Blonde and groomed where her sister is dark and leather-clad, Camilla is played by Dutch actress Sylvia Hoeks (Blade Runner 2049) with a basilisk stare and a voice like cyanide-laced honey. She’s head honcho of The Spiders, an evil Russian-backed mob set on gaining control of Project Firefall, a top-secret NSA computer programme that gives its user control over every nuclear arsenal in the world. Firefall’s been brought to Lisbeth by its creator Frans Balder (Stephen Merchant), a rogue NSA operative seized with a crisis of conscience, but he’s stored the key to it in the brain of his precocious nine-year-old son August. Also hunting Firefall are the head of Swedish Intelligence and an NSA agent from the US… Yep, it’s that kind of plot, about six times too convoluted for its own good. It’s easy enough to ignore the story and revel in the action, of which there’s no shortage. Fights, pursuits, kidnappings, explosions, death-defying leaps (at one point Salander on her motorbike hurtles from a high pier straight down on to a frozen river) pack the running time so full you can scarcely pause for breath – let alone question the plausibility of it all. This is very much our heroine’s movie; her habitual ally, principled journo Mikael Blomkvist (Sverrir Gudnason) is marginalised in a largely passive role, mostly awaiting rescue by Salander from various perils. Foy, sporting a light Swedish accent, projects gutsy determination as Salander, but her character feels toned down from its earlier incarnations, soft-pedalling her bisexuality and borderline autism in favour of a generic action-heroine persona. Altogether, in fact, the film’s more conventional than its predecessors, lacking the spiky, appealingly untidy individuality of the Swedish Millennium trilogy, or the stylistic flair of Fincher’s take on Tattoo. At times it comes across more like a by-the-numbers Bond movie – high on adrenaline, low on subtlety. Check out what else is hitting cinemas this year with our breakdown of the most anticipated upcoming movies of 2018 and beyond.